Happy Holidays, Especially to the Behind the Scenes Folks! "What makes me happy is the appreciation of people around me." Every day when I go to the school where I’m volunteering, I have to sign in and out in the main office. Well, next to the sign in book, I noticed something really interesting this past week and the other day I got permission to blog about it. You know how, during the December holiday season, there are all sorts of fun activities for students and teachers? Like: gift exchanges, bringing in special holiday treats to share with colleagues, handing out cards to staff members, wishing everyone Happy Holidays, Merry Christmas, and Happy Chanukah, and so on? I always gave tins of Danish Butter Cookies to the custodial staff, to thank them for all the work they did cleaning my room and the school in general. I figured that was something all the custodians could enjoy and a large tin would last a more than just one day. But I never saw a thank you like the one at this school in Arizona: On the counter where I have to sign in, there was a large pail with food inside and a sign stuck into it. 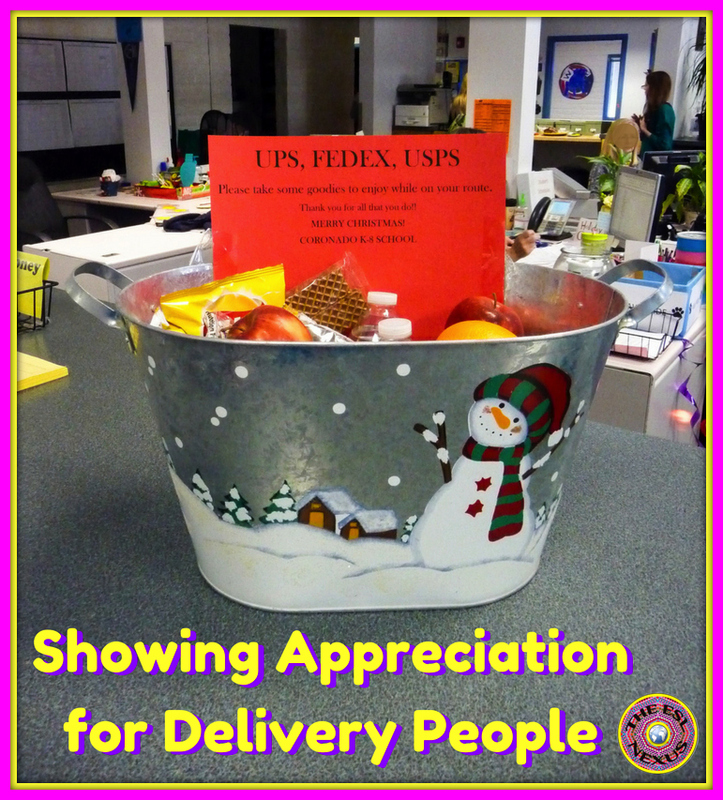 Taking a closer look, I discovered it was a bucket of goodies for the people who deliver mail to the school. What a fantastic idea! 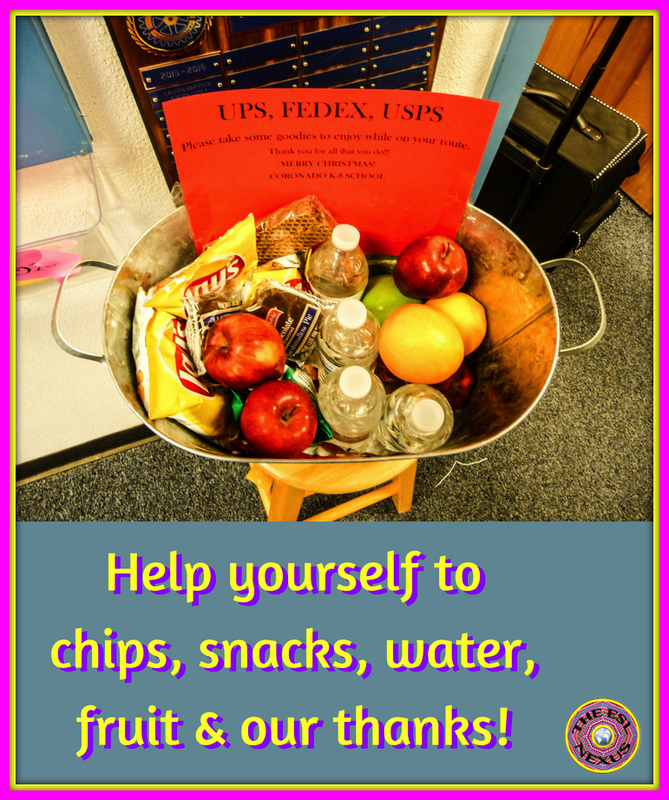 The men and women who bring the mail, pick up outgoing mail, and deliver packages certainly deserve the thanks of the entire school staff. Day in and day out they work the entire year and I think this is a wonderful way to show the school’s appreciation. And…I did notice that in the four days between my first sight of it and yesterday, there were definitely fewer items in the bucket. So I guess the people for whom it was intended liked it, too. I’ll be taking a break from blogging next week and will return in January with new posts.